Last weekend, the cold also hit B.C. in Canada. 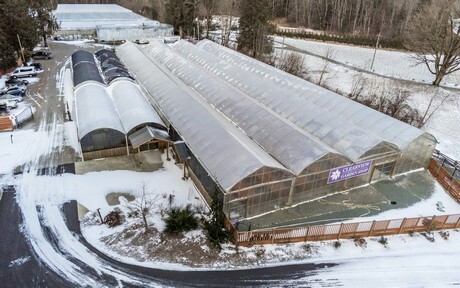 "Even though we live in Canada, we are usually relatively warm here in B.C., however, last weekend we had cold temperatures and some snow", says Robbie Wein of Clearview, one of North America's leaders in clematis propagation, production and breeding . "Also yesterday, during lunchtime, it still was -8C. The forecast shows flurries and temperatures as low as -7C. But its only getting warmer from here." 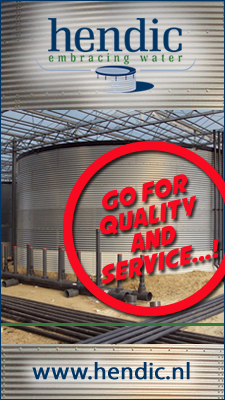 Clearview has 5 different sites, and on one of which they are constructing some new greenhouses. "That was a bit challenging because they were not quite finished when the cold temperatures hit. We are doing alright though", Robbie says. They prepared for the cold temperatures, inside and out. "We have to make sure all our environmental computers, heaters and hot water boilers are working well. Nowadays, I can monitor the greenhouse environment from my smartphone no matter where I am, as well as setting precautionary parameters and adjust temperatures." Outside, they are taking care of the greenhouses as well. 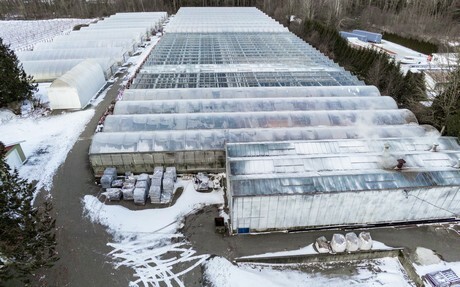 "It’s not uncommon for greenhouses to collapse due to the weight of snow. We must stay on top of things, if we don’t anticipate properly and we get too much snow, sometimes there’s nothing you can do. 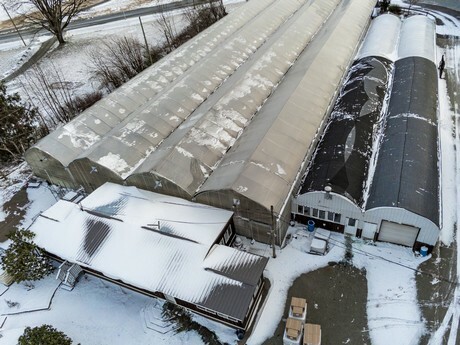 One last ditch effort may be to cut all your plastic roofs and let the snow come through onto your crop to keep the structure. Fortunately, not that much snow fell."